I spent a lot of my life living a life of fear. Fear of upsetting people, fear of not doing the right thing, fear of failing, fear of doing or going to new places, fear of standing up for myself, you name it, I've been afraid of it. When I realized this was happening and wanted to start making my decisions based upon what I wanted instead of fear, it wasn't as easy as I hoped. A lot of the advice I found told me to, "get over it", or to recite mantras to myself, or to "fake it". 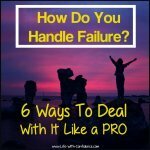 At first, when I tried doing those things I might think the advice was working but the moment I had to deal with my stomach clenching in knots thinking about something I needed to do, none of those solutions did a darn thing to help. It left me feeling like I was broken and doomed to forever live a life of fear. Fear doesn't discriminate. Everyone feels fear at certain points in their life. It can stop the strongest of people in their tracks and it probably kills more dreams than anything else. You start out all excited about following your dream and then quickly you have to deal with the fear of getting started, the fear of rejection, the fear of looking like a fool, the fear of making a mistake, the fear of not doing it perfectly, and so on. Plus, there's the fear of the unknown. Really, is there anything we don’t have some sort of fear about? It's not just with big dreams either. Fear can be destructive even in your daily interactions by convincing you to turn down invitations because you're afraid to go by yourself or you're afraid to go somewhere new. Or you're afraid of speaking to new people. So, instead of being able to look at the invite as something exciting to do and how you might meet some interesting new people, all you can think about is how scared the thought of going makes you. So, you end up turning down the invite and thus lose out on not only a fun, new activity but also improving your social network and the joy of experiencing new things. The more you avoid doing things due to this sense of fear, the more your confidence dies, and if you let it, it'll mean you never get the chance to live to your full potential and you'll always feel unfulfilled. Your world becomes much smaller and more limited because you're allowing one of your emotions to determine what actions you take. Instead of growing, you stagnate. Well, that sounds rather harsh, doesn't it? Does that mean we're doomed to always be this way? Well, the awesome news is that no, it doesn't mean that at all. And, what's even better is that fear isn't something we need to "get over" or "fix" or "deny" about ourselves. 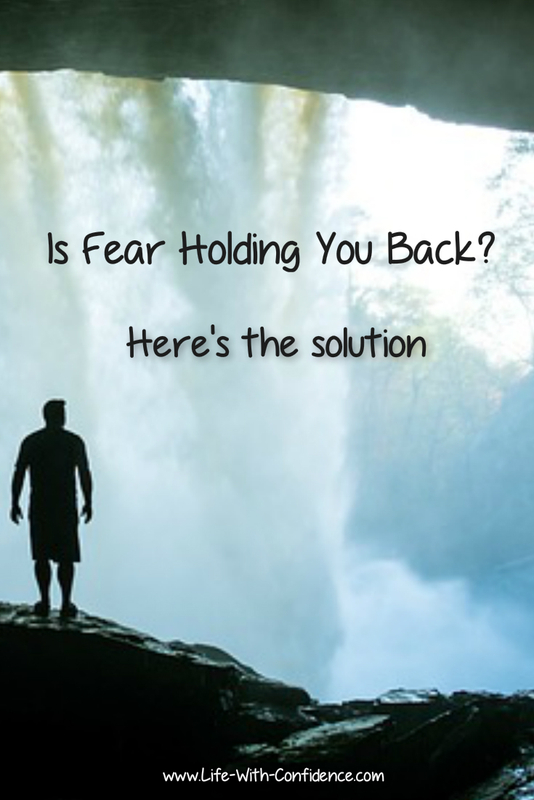 Yes, there is a solution so we no longer have to struggle with fear. Before we get to "how" you do that, let's talk about the fear itself first. What Do You Call Your Fear? This might seem like a silly question but it’s interesting when you think about it. When you feel afraid, what do you call it? How would you describe it? Would you call it: nerves, cold feet, anxiety, or maybe just a sensation of nausea? When you've felt these sensations in the past, have you ever considered that all those things are often signs of fear? It's important to understand when you're feeling fear because fear can appear in many disguises. You might dismiss your sense of fear as simply "being stressed" when really you're fearing something (angry boss or co-worker for example). Or you could also sense it as anger, frustration, hurt, disappointment, or even procrastination. Behind all these emotions is often fear and if you don't take the time to realize the true emotion you're feeling then you can't process it which then leads you to becoming stuck. Something else that can lead you to being stuck is a a feeling of resistance when you think about taking action on something. This is also a form of fear and the danger of not working through this one is that it can develop into a serious case of procrastination and you won't even know why. And, if you're a people pleaser then you probably have more fears than the average person and you'll find that all your decisions are being driven by fear as well. You're not making decisions that lead you towards the life you truly want to live but rather you let others decide your life for you. So, pay attention to what you're feeling in regards to sensations as well as emotions and consider whether it's really fear that you're experiencing. If you happened to watch the Olympics, you wouldn’t have heard the athletes saying words like "I'm too scared to do this". They would have said things like, “I’m pumped”, “I’m full of adrenaline” or maybe “I’m ready to do this”. It's not that they weren't dealing with fears because they were but the difference is that they use different words to describe their fear because they view fear from a different perspective. It isn’t the fear itself that stops you from moving forwards, it’s your feelings towards fear. If you think of fear as “bad” or something you need to get rid of before you can take any action then you’re letting the fear win. You’ll also begin to focus on the fear itself (how you can't breathe because of your anxiety, or you're feeling sick) and at that point you start to fear the fear. The other thing that starts to happen when you start focusing on your fear, whether it's your anxiety or your nerves, is that it causes the feelings of fear to intensify even more. Not a good situation. It's horrible. I know it well. So, you then get to the point where you believe that you need to get rid of those feelings prior to taking any action. Whereas if you think like an Olympic athlete and see it as a source of energy to harness then you’ll channel that energy and use it as a source of strength. The athletes focus more on what they need to do in their competition rather than their feelings of fear. The athletes also accept that they’re going to feel fear and don’t focus on denying those feelings or overcoming them. They also look at it as knowing that when they push through the fear, they will be stronger or smarter or better prepared in some way. They believe by going through their discomfort they will be rewarded with better results. Isn't that a better way of looking at fear? One other thing they do is that they don’t add stories to their fear. They don’t feel fear and then tell themselves that they’re pathetic or a loser or unlikable or the only ones that are scared. It’s the stories that we add that make it even worse for ourselves. For example, do you fear social situations? The real lesson from the social anxiety research is that there’s a difference between judging yourself and assessing your skills. Judging yourself in a harsh way will zap your strength and keep you stuck. Assessing your skills allows you to learn where you need to improve and you end up growing. So, when you’re first learning how to do something instead of letting the fear that you're never going to get it or the fear that you're an idiot because you're not learning fast enough, be curious about what you need to learn in order to improve. 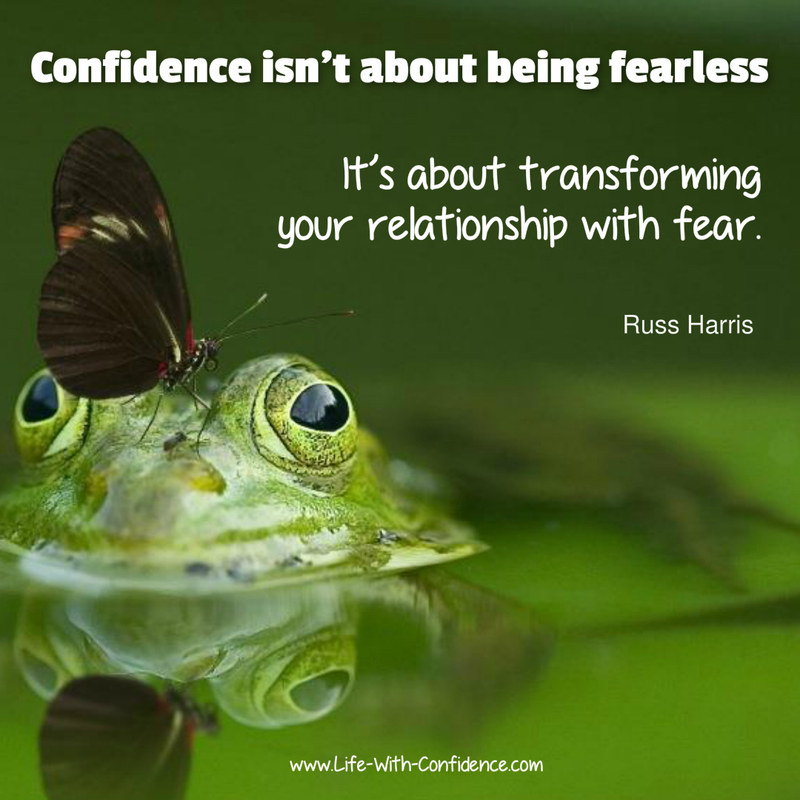 "Confidence isn’t about being fearless, it’s about transforming your relationship with fear." The goal isn't to never feel fear because that's impossible. I know, I wish there was a way to wave a magic wand and to never have to feel self-doubt or fear again and make huge massive leaps towards all my goals and dreams. The truth is though that anytime you do something that challenges you, whether that's learning a new skill or meeting new people or trying to write an article, you're going to feel fear. And, that's okay. Expect that you're going to feel it and know that it's okay that you're feeling fear in this particular situation.You could even say, "Hello," to it when you realize that it's popped in for a visit. "Hello, Fear. How you doing?" 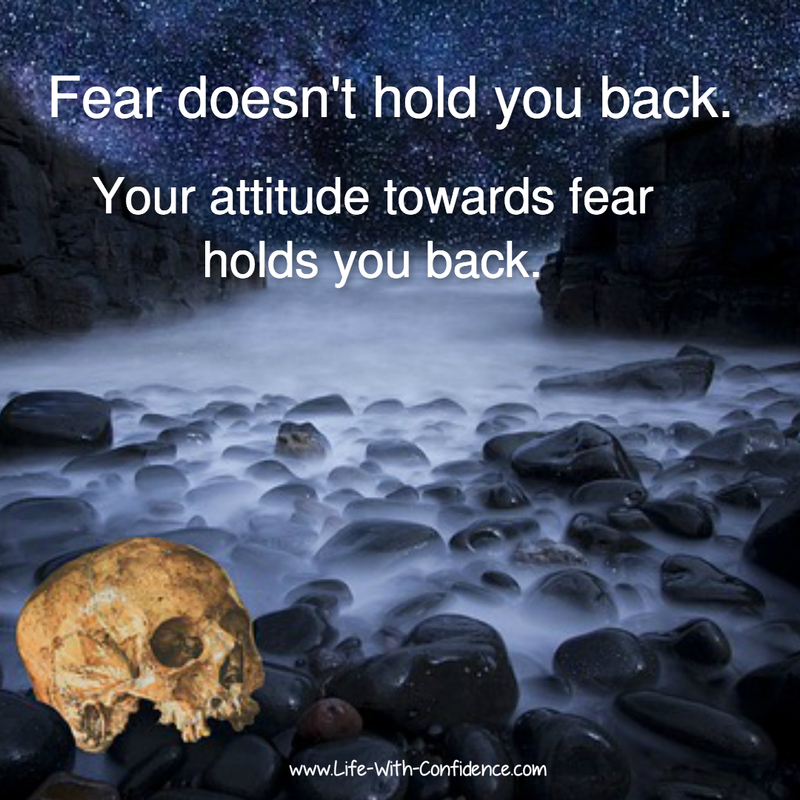 Confidence is when you don’t fear feeling that scary and uncomfortable emotion of fear. I know that sounds like a “Yeah, right” statement. I hear you, I’m the biggest chicken out there. I'm the person that starts to throw up just at the thought of public speaking. But, it’s all about realizing that everyone feels fear and it’s a matter of learning skills to be able to work with the fear rather than letting it stop you in your tracks or even worse, having it mean that you give up on your dreams. By learning some skills, fear no longer prevents you from living a fulfilling and rewarding life. 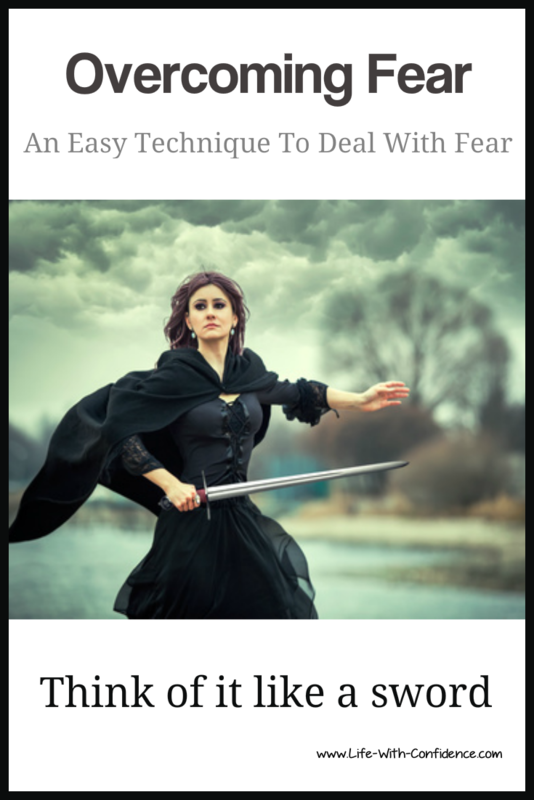 Learning skills on how to accept your sensations of fear is totally doable. You can do that. I know you can. It's also one of the most important skills you can learn because then you no longer allow fear to decide how you're going to live your life. Think how much freedom you suddenly gain simply by learning to accept feeling fearful sometimes. The key to dealing with fear is that you're not trying to deny it, or overcome it, or think it away. 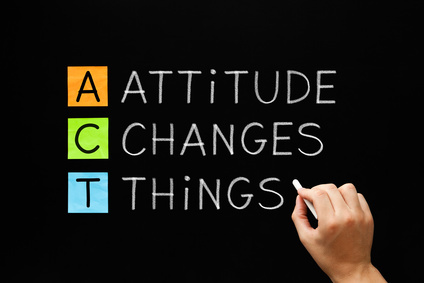 You're also not using positive affirmations to over ride it. You don't have to change who you are. You're simply learning to accept the feeling and allow yourself to feel it anyway. If you don't try to control the feeling or stuff it down, the faster it dissipates. There's lots of different ways to approach this. You just need to find the one that works for you and allows you to be open and accepting to those uncomfortable feelings. Acknowledge It - you say hello to it or tell yourself, "Ah, here's fear". Make Space for It - you breathe deeply and allow the feeling to exist. You don't struggle with it. Expand Your Awareness - you notice the fear but you remain connected to the world around you. You don't focus only on the fear. You pay attention to what's happening around you. 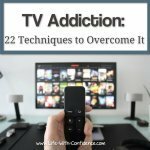 You could also use techniques like the Weekes method which is what I've been doing or you can use mindfulness. In the Confidence Gap, his mindfulness exercise is to see yourself next to a babbling stream and watch leaves float by. You place your fears on the leaves and let the water whisk them away. Or you can do like the athletes do and channel that energy into being super focused on the task in front of you. Or another suggestion from the book is that you can neutralize your fears by putting them into a different context. You do this by imagining your fear as words on a board and you play around with the color or size or font. Or you could try singing your fears. These two techniques work because it's a way to allow you to see your fear as simply words and pictures in your mind that you don’t need to fight with, cling to or run from. One other helpful piece of advice I learned from the book is to be clear on your own values like knowing that you want to be free to enjoy, "Adventure: to be adventurous; to actively seek, create, or explore novel or stimulating experiences" or to live by a sense of "Freedom: to live freely; to choose how I live and behave, and to help others do likewise" or simply be creative or kind to others. Then when fear hits, pull your focus back to your values and commit to living that life instead of one of fear. Works when you're fighting procrastination too. Do you want to live a life according to your deepest values or do you want to blow them off and go play games on your phone? The Confidence Gap: A Guide to Overcoming Fear and Self-Doubt has a number of other great suggestions for neutralizing the feelings if none of the above resonate with you. The main thing to remember though is that everyone feels fear at some point. Every single person. It’s a natural emotion. There's nothing wrong with you that you feel fearful about doing new things or going new places. You don't have to fix yourself. You simply need to change how you respond to your feelings of fear. What you want to remember is that fears are simply unpleasant feelings. Yes, they're very uncomfortable while they're happening. But, if you take the time to consciously become aware that you're feeling the emotion of fear then you can stop letting fear dictate what actions you take. 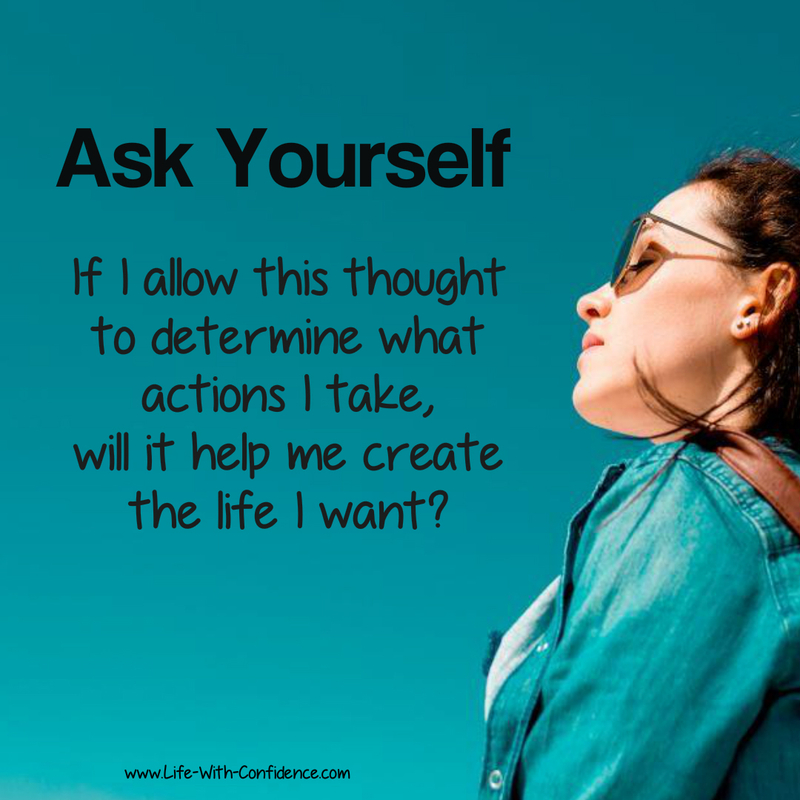 You can then decide for yourself what you're going to do instead of reacting on auto pilot wishing those feelings would go away or avoiding the issue entirely by procrastinating or watching tv. So, the answer to how do you prevent fear from holding you back is to work with your fear by being accepting of it and be true to yourself. It's a skill you'll never regret learning. 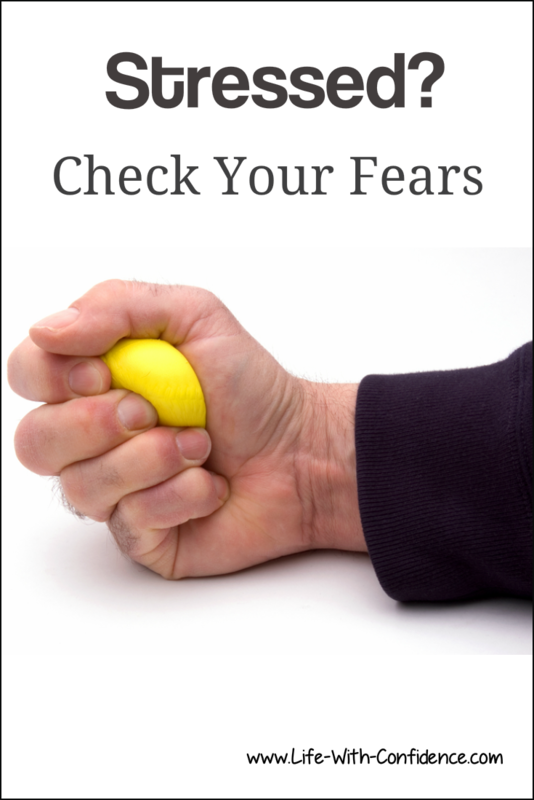 If you're someone who finds that fear is often dictating how you live your life then this will be a valuable book for you. He provides all sorts of different ways to change how you view and interact with your feelings of fear. Recommended. 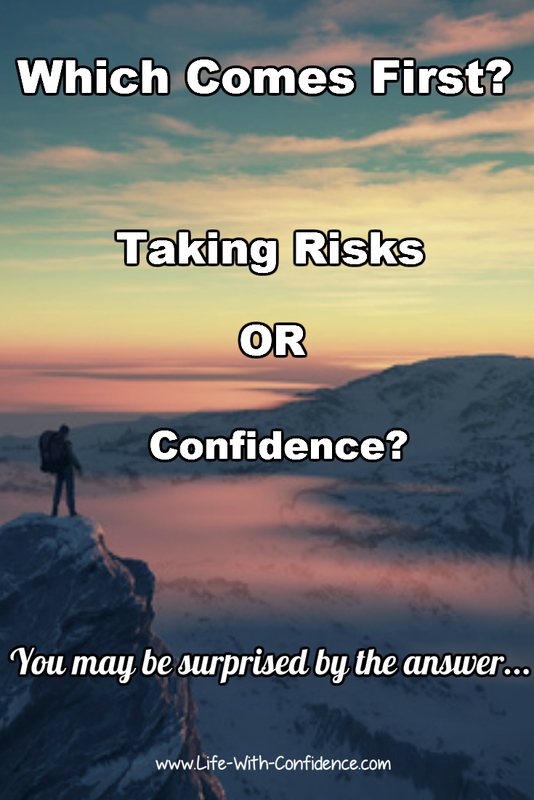 Are you a risk taker? If you're working on your confidence, you may not be. So, which comes first? Here's how you know.